I admit I don’t get to do them quite as often as I’d like (hello, busy mama here) but I love a good face mask. I’ve already shared a few of my favorite face masks on the blog like my activated charcoal face mask and my detoxifying face mask. Today, I’m adding one more fun and beneficial face mask to the records: my Green Goddess Spirulina Face Mask! 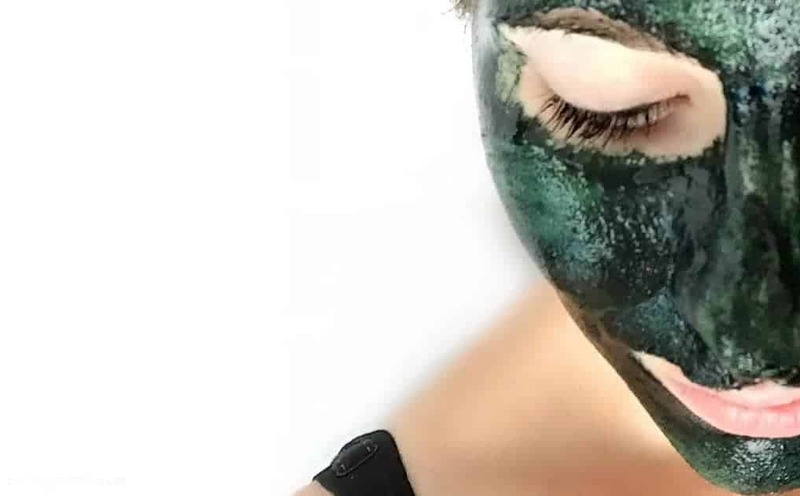 This mask is a oh so lovely shade of green but the lovely hue is not the only reason to love this face mask! 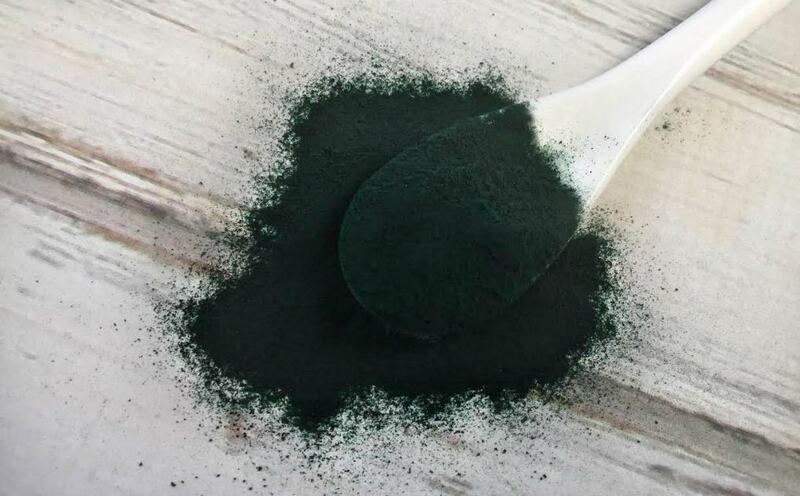 Many of you have likely heard of spirulina because it’s one of the currently popular “super foods”. It’s packed with nutrients that can really help your body. Usually you only heard about how to add it to your diet. You don’t hear much about using it topically. However, often times the super foods for our diet are also super foods for our skin! Spirulina is full of chlorophyll (hence the green) which strengthens skin tissue. Antibacterial which can help get rid of acne. Great to help soothe sensitive skin. Very rich in antioxidants which may help reduce sun damage and aging skin. Helps skin retain elasticity and moisturizes. Mix all ingredients until you have a nice paste. Apple to clean skin with fingers or a face brush. Leave on for 20 minutes then rinse off with warm water. LOVE this Brittany! I can’t wait to try it! You could do so many fun things with this – substitute rosewater or other herbal infused waters to customize the mask. Adding subbing avocado for the honey could make it a moisturizing mask. Or you could mix this with sugar to make it a scrub for added exfoliation. All great ideas! It actually has a bit of exfoliation action just in the spirulina! I love to make nourishing facial masks like this one. 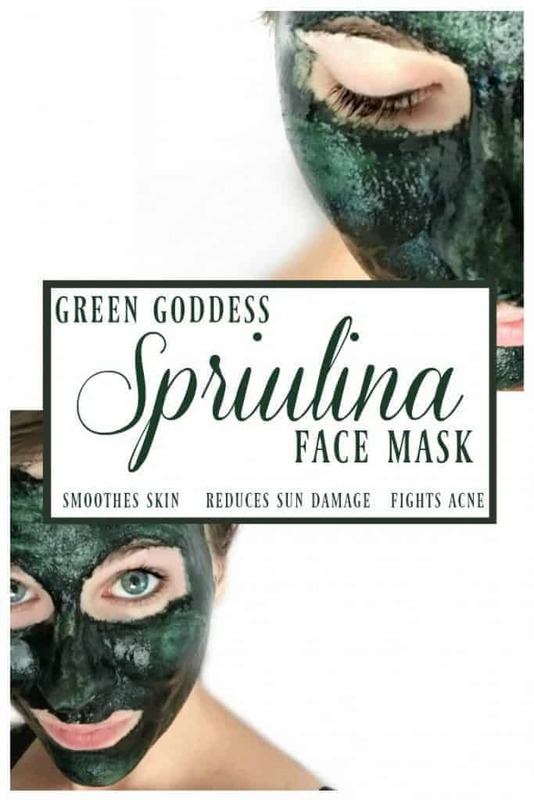 Thank you for sharing Green Goddess Spirulina Face Mask at the Healthy, Happy, Green and Natural Party Blog Hop. I’m Pinning and sharing! I love DIY natural skin care! Thank you so much for sharing your wonderful Green Goddess Spirulina Face Mask at the Healthy Happy Green and Natural Party Blog Hop. I’m pinning and sharing. Wishing you a healthy, green and natural year ahead! How long can this hold? Does anybody know? Hold? Do you mean how long can it be stored? I’d mix as needed. You had me at strengthening skin tissue. I have some Spirulina on hand, will be trying this tonight.